Climate negotiations are now progressing into the final days in Marrakesh with a handful of outcomes established already. The 22nd session of the Conference of the Parties (COP22) to the United Nations Framework Convention on Climate Change (UNFCCC) is now into its second week, with negotiations split across several tracks. Here’s a taste of what’s been on the table this past week in Morocco. Let’s start with the alphabet soup: The Ad Hoc Working Group on the Paris Agreement (APA) is dealing with issues such as guidance for future Nationally Determined Contributions (NDCs), transparency, global stocktake, adaptation communications, and compliance. The Subsidiary Body for Scientific and Technological Advice (SBSTA) is dealing with the technical issues associated with the new Article 6 mechanism on market and non-market approaches, as well as agriculture. The first meeting of the new permanent body under the Paris Agreement — known as the CMA — has now also opened this week. The opening of the CMA is an important development here in Marrakesh, because this is occurring as a result of the rapid and record-breaking entry into force of the Paris Agreement and will be where the ‘rule book’ for the implementation of the Paris Agreement will be adopted. At the COP21 in Paris, there were a series of decisions expected to be finalized for adoption at the first session of the CMA, known as CMA 1. Due to the early entry into force of the agreement, CMA 1 is now happening much sooner than expected. Obviously, these rules are not completed and will require a few years to develop — the CMA will open in Marrakesh, and it will determine its mode of work moving forward into 2017 and 2018. In the APA, these negotiations have developed a series of roadmaps and work programs, for THE provision of submissions, expert roundtables and workshops on several topics. Some additional sessions will occur early in 2017 to keep the technical work moving. These work programs will focus on the APA agenda items: guidance for mitigation and NDCs, accounting, adaptation communications, transparency, and compliance amongst other things. In addition to the Roadmap that has been agreed amongst the Parties, there has been a very rich exchange of views on substance that forms a body of material under development that will inform future negotiations. Discussions on mitigation, features and accounting of NDCs relate to what will be voluntary contributions and what may be mandatory. There will be guidance on accounting and environmental integrity, and avoiding double-counting has been highlighted as key areas. There may be different levels of guidance for accounting to allow for flexibility for country capacities. Accounting for NDCs will of course be a relevant space for land-use accounting to become one of the major issues. An expert roundtable will be held on 6 May 2017, which is open only to Parties and not to observers. Discussions on adaptation communications as a component of NDCs have been focused on issues such as timing of communications, purpose of the communications, and how these communications link to other processes. An expert workshop will also be held on 6 May prior to the mid-year UNFCCC meeting together with a round of submissions on the topic due on 30 March 2017. On the topic of transparency, again, a process will be put in place concerning submissions, technical papers and workshops. It is clear that we are talking about transparency of ‘actions’ and ‘support’, and the submissions will focus on areas, such as how the new system can build on the current system, and what is actually needed over and above what is there. An important consideration here on the issue of forests and land use relates to the role of social and environmental considerations in the new transparency framework, as the current system is essentially focused on measuring, reporting and verification (MRV) of carbon. The topic of global stocktake (GST) remains contentious, as there continues to be uncertainty around what the actual outcomes of the GST will be. Parties remain concerned it will become a top-down approach to force countries to increase their ambition. This is also linked with the upcoming Facilitative Dialogue, which will be held in 2018, which is a bit like a trial run of the GST to be held in 2023. It is widely accepted that these processes need to be designed to inform and inspire countries to increase ambition and enhance their climate actions, however just how this is to be done will be the subject of ongoing negotiations. In the lead up to the 2018 Facilitative Dialogue, countries will have the benefit of the special report currently underway by the IPCC concerning the 1.5 degree temperature goal agreed in Paris. The SBSTA is doing work of high significance related to market and non-market approaches, and the new ‘mechanism’ under Article 6 of the Paris Agreement. The Article 6 discussions are split out into three tracks, the first being more broadly what the mechanism is about, the second being how it relates to markets, and the third being how it relates to non-market approaches. This new ‘mechanism’ is intended to take over from the Clean Development Mechanism (CDM) and whether it includes REDD+ as both a market and non-market context remains uncertain. The forest carbon trading debate is occurring in the market track, whereas in the non-market track discussions are moving in the direction of how to ensure finance for those countries unable to access, or unwilling to access, markets. Due to the level of contention around the markets issue, and the complexities associated with achieving phase one of REDD+, many countries will need finance via non-market approaches. It is also worth mentioning that the joint mitigation-adaptation approach to REDD+ is also considered a non-market approach. This is perhaps one of the more interesting discussions related to the role of REDD+, especially in the light of the decision by International Civil Aviation Organization (ICAO), which has also not yet decided to include forest carbon. The Green Climate Fund (GCF) is also working to complete its results-based payments framework, and the topic of what to do with REDD+ credits (if established) — whether to retire them or whether they can be traded — will no doubt come up too in future meetings later this year and early 2017. The arguments for carbon trading and offsetting remain the same. Those in favor of markets continue to argue the importance of generating finance and stimulating private sector investments in favor of forests, and the arguments against continue to revolve around concerns related to rights, the commodification of nature and non-permanence of forest carbon sequestration. However, now new dimensions enter the debate where we are confronted with a shrinking carbon budget, a 1.5-degree target and a desire on the part of many countries to retain their own emissions reductions to apply against their NDCs. More specifically on REDD+, there was a consultation event held by the GCF which was very well attended, standing room only. This was interesting, with examples related to progress toward achieving results provided by the Democratic Republic of the Congo, Brazil, the Norwegian International Forest Climate Initiative (NICFI) and the KfW Development Bank. The GCF will now hold further workshops and consultations to develop their results-based payments system. As with all other items of this COP, the SBSTA outcome here will be procedural, with a series of submissions and workshops going into 2017. The link to the draft SBSTA decisions can be found here (see agenda item 12). This is however one of the more unfortunate outcomes as observers have been excluded from participation in this round of submissions. 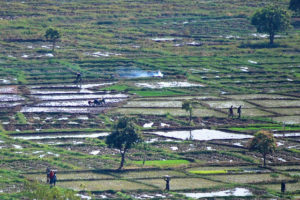 There has also been an agenda item on agriculture considered here under the SBSTA, where there continues to be a deadlock between developed countries and developing countries over the question of the role of agriculture in mitigation, as well as what to do now that the two-year work program has been completed. The outcome here is basically to continue working on the topic at the next SBSTA meeting, but it is safe to say the issue has not progressed here at all. See agenda item 7 to find out more. Overall, the conference has been slow-moving and has been overshadowed by the U.S. election, which has created much uncertainty, but at the same time has created opportunities for other countries to show their resolve get on with the job and keep working on implementing the Paris Agreement. Many countries have already made statements that they remain committed to implementing the agreement. As the session moved into a gear change with the High Level sessions commencing, well- attended by Ministers and Heads of State, the expectations are that the outcome of COP22 will be a clear indication from world leaders that there continues to be global momentum to address climate change and that we now have a clear way forward with a much-needed roadmap to put in place the ‘rule book’ to implement the Paris Agreement. 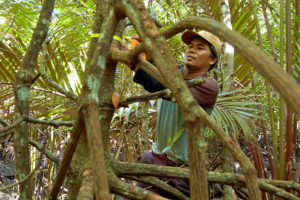 This blog is related to the CGIAR Research Program on Forests, Trees and Agroforestry.